Thank you for using MyWay Mobile Storage. It is our goal to provide our customers with excellent service. Customer feedback is very important to us. 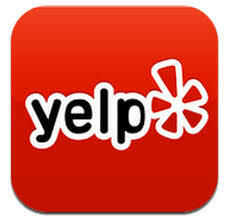 We appreciate your willingness to share your experience via Google, Yelp or Facebook. Select your market from the drop down menu. Click on the specific “Review Site” icon you would like to use. //1) CUSTOMIZE TEXT DESCRIPTIONS FOR LINKS ABOVE var thetext1=new Array() thetext1="" thetext1="MyWay Mobile Storage of Baltimore" thetext1="MyWay Mobile Storage of Denver" thetext1="MyWay Mobile Storage of Grand Rapids" thetext1="MyWay Mobile Storage of Pittsburgh" thetext1="MyWay Mobile Storage of Salt Lake City" thetext1="MyWay Mobile Storage of St. Louis" thetext1="MyWay Mobile Storage of Tyler"